For my entire childhood, I was a good math and science student, but thought it was boring and wanted to be a piano teacher. When my eighth grade science teacher, Mrs. Kelly, announced that she was starting a team to compete in the Team America Rocketry Challenge, I had no interest and did not attend the first meeting. The next day, she pulled me aside and said that the team needed more members and since I was an exceptional science student, I had been drafted. I went to my first meeting simply so that I wouldn’t disappoint her, fully expecting to hate it. To my surprise, I was hooked. Building the rockets didn’t seem like my tedious math and science classes, it was fun. We didn’t place in the competition, but her insistence on my participation introduced me to engineering and how enjoyable it could be. The summer after the competition, I was accepted into a pre-college music festival. By the end of the program, my musical dreams had been shattered. The incredible amount of work needed to become a classical pianist ruined the music for me. I needed something else to focus on, so I signed up for my high school’s rocket team, hearing Mrs. Kelly in my head telling me I could do it. We were significantly better than my middle school’s team, and at the end of my freshman year, we won a spot in NASA’s Student Launch Projects. I spent my entire sophomore year designing the payload experiment and container, with the experience culminating in an amazing trip to Marshall Space Flight Center. Still, I did not see a career for myself in engineering. NASA is far from my home in New York and I still didn’t understand the full scope of STEM. 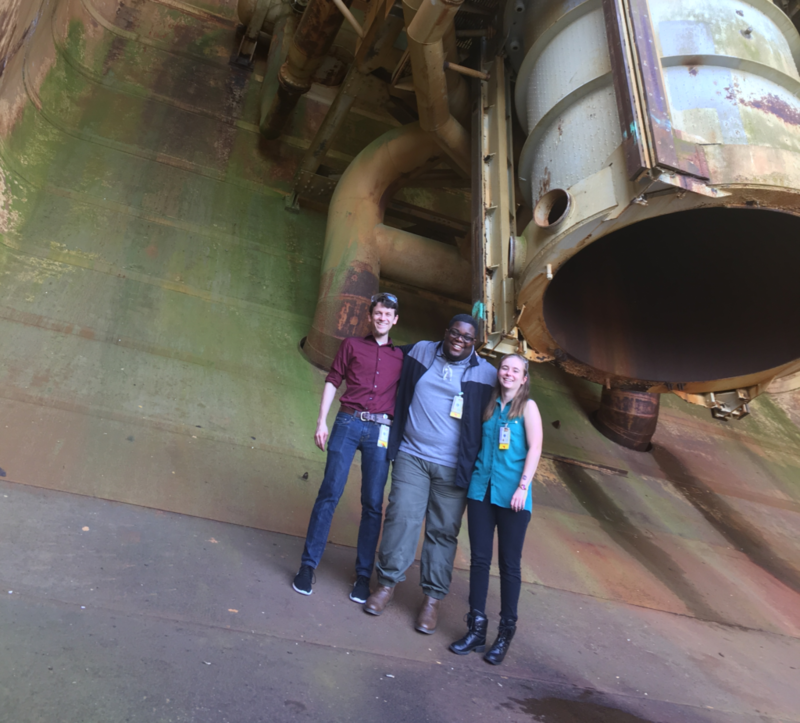 Marissa D’Alonzo and fellow interns at Stennis Space Center. After hearing about my experience, I was approached by my physics teacher, Mr. Paino, about joining his fledgling research program. He wanted me and another team member to write a scientific report about our rocket to submit to the Siemens Science Competition. I agreed, and he dedicated massive amounts of time and energy to make sure I succeeded in the program, as well as pushing me to take his AP Physics class. His dedication to me, even when I didn’t always appreciate it or like him, helped me see that I was capable of pursuing engineering. He recommended Northeastern University to me, thinking that I would enjoy the co-op program, which builds time into the curriculum for three six-month internship opportunities. I was accepted, and am currently in my third year majoring in computer engineering. 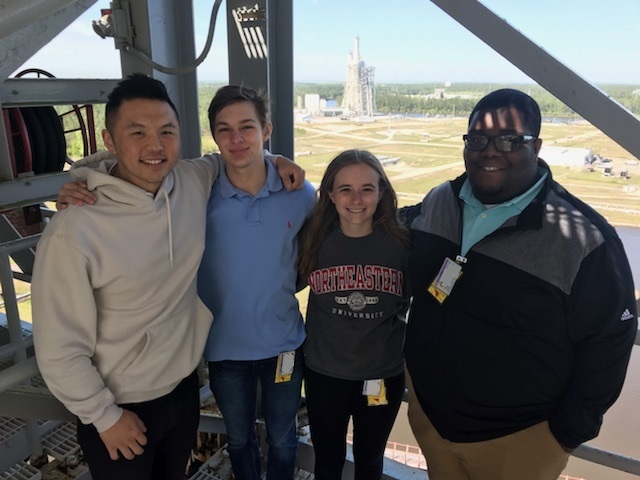 Ever since participating in the Student Launch Project, I had been interested in working at NASA. After completing my first co-op at a small medical device company, I began seriously researching NASA for my second co-op. I was offered a position in the Office of Education at Stennis Space Center. This experience has solidified my choice of computer engineering as the field I want to go into, as well as giving me experience in both the aerospace and STEM education fields. When I return to Boston, I plan to continue my aerospace work at MIT Lincoln Labs, and my STEM education efforts through outreach to middle schoolers.